The popularity of Late George Bush Snr soared when the United States under his leadership roundly defeated the Middle Eastern forces in the Gulf war. This was adequate compensation for the US having lost the Vietnamese war and the Bay of Pigs invasion of Cuba under former Presidents Richard Nixon and the legendary, charismatic John Fitzgerald Kennedy. The re-election was almost near and the pundits gave the victory to him. A then upstart, Bill Clinton wasn’t fazed by the ‘verdict’ of the commentariat. His campaign was anchored on the slogan ‘It’s the economy stupid.’ After the dust had settled, the majority of Americans voted for the 46 year old erstwhile Governor of Arkansas as they weren’t immune from stomach infrastructure made popular by former Ekiti State Governor, Ayo Fayose. Majority of the citizens reasoned that it was better to have a sturdy and robust economy than to get involved in wars that brought no direct economic gain to Uncle Sam. The 2019 general elections have come and gone with winners and losers trading blames. Some ‘sore’ losers have opted to go to the election petitions tribunal in their bid to get justice. The international monitoring groups gave divergent verdicts on the elections. While some hailed it as being a victory for democracy with some countries like the United Kingdom openly congratulating President Muhammadu Buhari, others dismissed it as a sham and a disgrace that the ‘Giant of Africa’ couldn’t do something as basic as conducting a free and fair election. The masses that always get the short end of the stick every four years missed the point about the germane issue in Nigeria. The only thing that can make this hapless lot who sadly are in the majority to enjoy the dividends of democracy is if there is a total restructuring of the country which will include the polity and economy. The present centralized or unitary system of government where most powers are concentrated in Abuja is inimical to the nation’s growth and development. The various states with the exceptions of Lagos, Rivers, Delta and Akwaibom cannot survive without allocations from the mighty centre. Many states cannot pay salaries and even the ones who don’t owe workers have practically nothing left for infrastructural development after giving bank alerts to their respective over bloated civil service workforce. There are agitations by some various interest groups for the creation of more states. In the South- East, there is the drumming up for an additional one state to make it at par with the rest of the geo-political zones. In Oyo state, there is the demand for the Ibadan state; the same demand for the same thing in Ogun by the Ijebus demanding for their own state. Who state epp? Please pardon my Pidgin. The idea of state creation was a military import which General Yakubu Gowon used to avert the civil war when he created twelve states to whittle down the powers of his arch rival, Late Dim Chukwuemeka Odumegwu-Ojukwu. All state creations have been done by military fiat. It’s high time we moved on especially as we are nearing two decades of democracy. We can’t keep holding on to the vestiges of our tragic past. 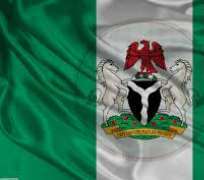 Nigeria should revert back to the regional system of government which worked best before independence and in the First Republic. The Late Sage, Chief Obafemi Awolowo greatly developed the South-West with the proceeds from Cocoa which was the mainstay of the west. Zik of Africa as Premier of the Eastern Region used the coal proceeds to develop the east. The centre was so unattractive that the Leader of the Northern Peoples Congress and Premier of the Northern Region, Alhaji (Sir) Ahmadu Bello preferred to remain in Kaduna as Premier while he sent his deputy, Sir Abubakar Tafawa Balewa to be Prime Minister in Lagos. The American style Presidential system of government is too expensive and only gives room for corruption. The legislature at the centre should be unicameral. Let us take the cue from Senegal who scrapped their Senate in a bid to reduce the cost of governance. Not only should it be unicameral, it should run on a part time basis. Politics shouldn’t be viewed as a full time profession as it’s a great avenue for topmost service to the people. We need to also look at the exclusive list and see how some items there can be shifted to the concurrent. The establishment of a seaport for instance should be a concurrent one. If seaports are built in Onitsha, Ondo, a major one in Port Harcourt, Calabar, it will greatly decongest Lagos and lead to further development of these other towns. The mad rush to live in Lagos which is seriously straining its infrastructural development will be reduced. A dry port can be built in the Middle Belt to facilitate the exportation of its excess food. The country will be broken up into six regions and each will be forced to look inwards to develop its resources. Resource control will play a key role in a restructured Nigeria. The south-south region will be the one to allocate oil wells and oil blocks as opposed to the current practice of these allocations coming from Abuja. This way most oil well owners will be the indigenes of the oil producing communities – a shift away from the reality of the northerners having the highest number of these oil blocs. The centre just gets a fraction of the resources from the regions – perhaps not more than 20 or 30% at the most. The boko haram and Fulani herdsmen crisis will cease as there is no more free money to rehabilitate the crisis ridden North East since each region will be forced to fend for itself. The emphasis on oil will reduce as it’s even a fast declining resource. About thirty of our cargoes couldn’t sell at the high sea as there were no willing buyers. Saudi Arabia which has far more oil than us is planning for a post oil economy with the consulting giant, Mckinsey as a development partner. With the invention of electric cars with even the CEO of Shell making use of one, oil may be consigned to the museum or history books in 40,50 years from now. Where will that live us? Human capital will blossom in a restructured country as each region will strive to outdo each other since there are no more freebies coming from the centre. The north would find more use for its meat and groundnuts, the east will find a better outlet for its enterprising spirit, the west will produce more innovative administrators, prosperity will flow to the Middle Belt as they may evolve to become the food basket for the entire African continent. A state like Ondo has one of the highest bitumen deposits in the world. Imagine the prosperity that will come to the south west if a sea port is built there! Osun state will have a dry port built in there which will make it a major food producer for the south west. The agonizing era of Aregbesola where salaries were being owed will be a thing of the past. The mistake our founding fathers made was in not having a genuine Sovereign National Conference when independence came. During the drafting of the independence constitution, some nationalists wanted the insertion of a secession clause which was vehemently opposed by the northerners and Zik. That clause may have saved us from the disastrous civil war that happened barely seven years after. Secession is no big deal. When India had their independence on August 15, 1947, Pakistan emerged the following day. India also further broke up into Bangladesh and Sri Lanka. Many vested interests have been opposed to restructuring as their interests will be hurt. I wasn’t amazed when I read an interview published in the Punch Newspapers on March 24, 2019 when the Secretary-General of the Arewa Consultative Forum, Anthony Sani said the North was opposed to Atiku because of his promise of restructuring. The delay for restructuring is only a postponement of the evil day. If it doesn’t happen peacefully, an implosion of bloodshed will make it inevitable. We have a lot to learn from history. Let us be wise and do the right thing. Tony Ademiluyi wrote from Lagos. Disclaimer: "The views/contents expressed in this article are the sole responsibility of Tony Ademiluyi and do not necessarily reflect those of The Nigerian Voice. The Nigerian Voice will not be responsible or liable for any inaccurate or incorrect statements contained in this article."